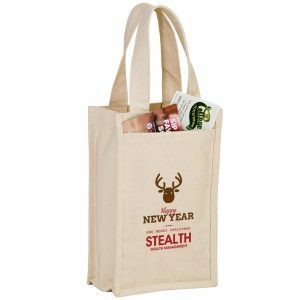 Mini Non Woven Tote Gift Bag features, Non woven 75 gram polypropylene, White rope handles, and Used to carry small items, a gift bag or a loot bag. 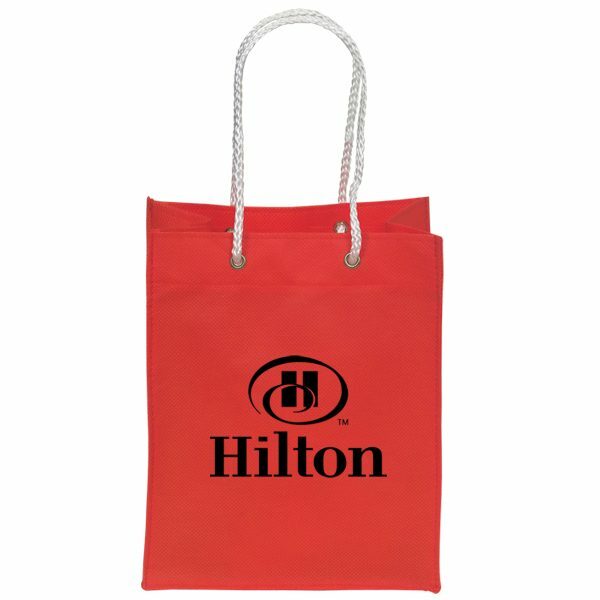 These mini gift tote bags are perfect for jewelry stores, trade shows, salons, and much more. 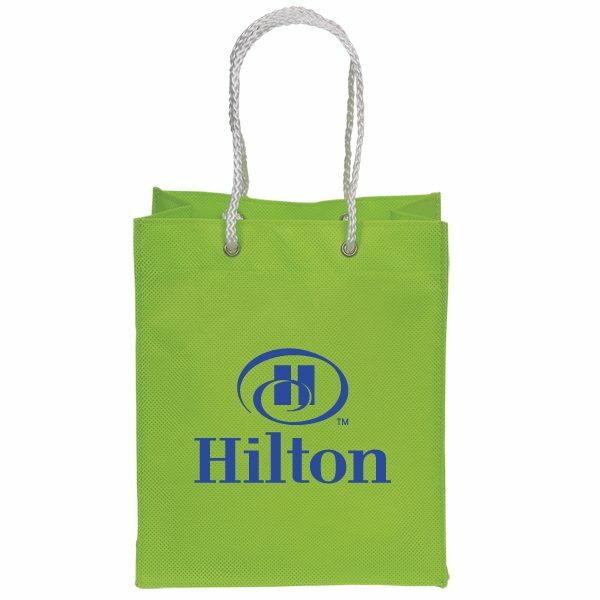 These green bags are just what your company needs. 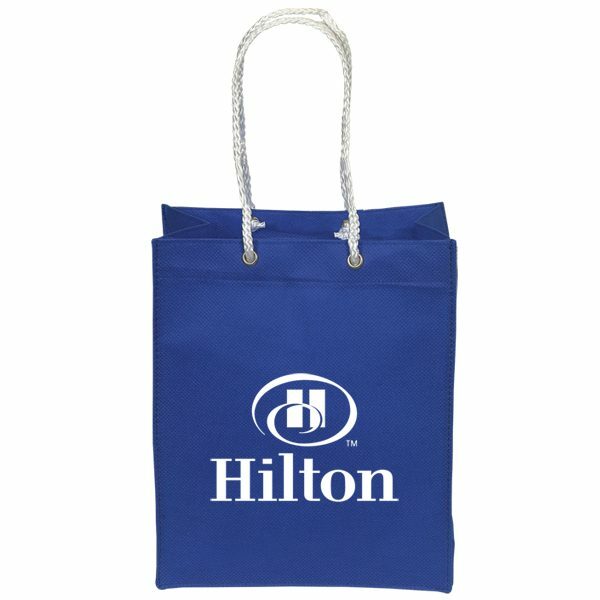 Select from other mini non woven gift tote bags that we offer. 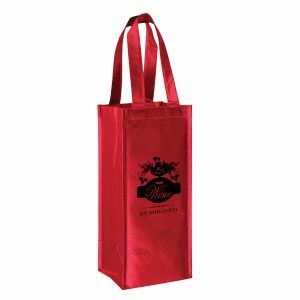 At Bag Promos Direct, we offer high quality promotional products which includes all of our custom grocery bags. 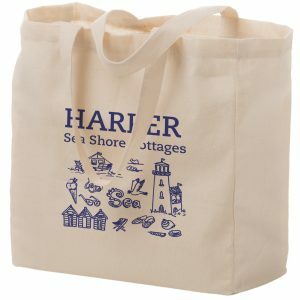 Mini Non Woven Tote Gift Bag features, Non woven 75 gram polypropylene, White rope handles, and Used to carry small items, a gift bag or a loot bag. These mini gift tote bags are perfect for jewelry stores, trade shows, salons, and much more. These green bags are just what your company needs. 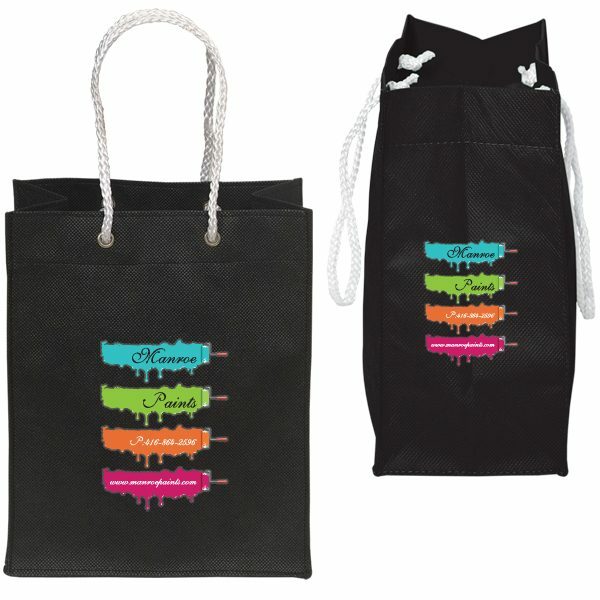 Select from other mini non woven gift tote bags that we offer. 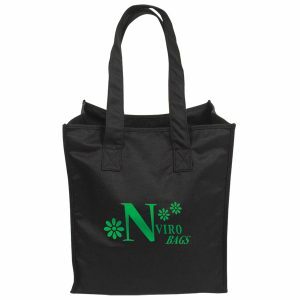 Non Woven Grocery Totes are one of the best and most affordable products when it comes to promotional products. You can use these at company events, tradeshows and for corporate gifts. They are also available to customize through our design center. Please contact your account manager for pricing. There are lots of color options in this sturdy and stylish tote. Take a look at all great options at customgreenpromos.com. All of our bags can be customized and ordered through our design center to meet your exact specifications and needs. Email our customer service department today to get pricing. You can also request a free quote for any of our stock items on each product page by simply filling out the quote form.